We are specialist Solar Surveyors providing independent advice and recommendations to domestic and commercial clients. GD Electrical Services have been established since 1993 as an electrical contractors. We install Solar PV systems thoughout Somerset, Devon and North Cornwall. 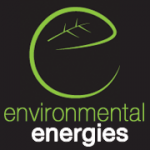 An experienced Renewable Energy specialist offering honest professional advice. Covering SP DT BH TA and SO post codes. Roof facing: South. Pitched and slated. No shading and no windows on roof. Open to advice on what system is best. Install within 6 months. contact anytime. Roof facing: south/ west. Pitched & slate. No shading. No windows. Open to suggestions regarding system size. Install: within 3 months. Contact: anytime. Supply and installation of a Solar Battery. Existing Solar PV system: 4Kww. Inverter: Solar Edge. Install: in the garage within 3 months. Contact: anytime. Solar Thermal need replacement inverter. Anti freeze. Contact anytime. batteries installed 13months ago and econ 7 meter fitted. There are more units used on the expensive daytime tariff than night time. I feel something is wrong. Solar PV system (4kw) service required please. Contact: evenings and weekends. Solar thermal tube system - it's been installed for 3-4 years and requires servicing and performance checking. Contact anytime.